Sin separated us from God and even through our disobedience God loved us, however He could not have a relationship with us in our sinful state because He is righteous and true. God had to have someone pay our dept because there is no forgiveness of sin without the shedding of blood. So God sent His only Son to be a living sacrifice to shed His blood on the cross. Jesus Christ made access for us to God the Father possible. 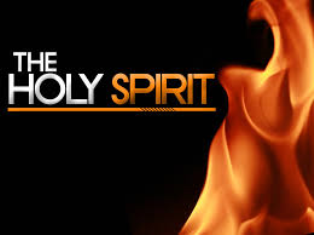 The Holy Spirit is the One who leads us through the Word of God by convicting us of our sins. He takes us by the hand and leads us through the open door of Salvation. We are made up of a body , mind / soul and spirit. People today go to great links to exercise their body and their mind, very few pay any attention to their spirit. The spirit is something we have difficulty grasping. We can’t relate to it with any of our senses. The first thing we have to realize is our human weakness. God’s standard for Christian living can not be accomplished by human effort. We have to depend on the Holy Spirit to do for us what we can not do for our selves. When you are saved by faith and you walk in the Spirit, you produce the fruit of the Spirit which produces Christian Character. “I say then: Walk in the Spirit, and you shall not fulfill the lust of the flesh. For the flesh lusts against the Spirit, and the Spirit against the flesh; and these are contrary to one another, so that you do not do the things that you wish. But if you are led by the Spirit, you are not under the law. Now the works of the flesh are evident, which are: adultery, fornication, uncleanness, lewdness, idolatry, sorcery, hatred, contentions, jealousies, outbursts of wrath, selfish ambitions, dissensions, heresies, envy, murders, drunkenness, revelries, and the like; of which I tell you beforehand, just as I also told you in time past, that those who practice such things will not inherit the kingdom of God. But the fruit of the Spirit is love, joy, peace, longsuffering, kindness, goodness, faithfulness, gentleness and self-control. Against such there is no law. And those who are Christ’s have crucified the flesh with its passions and desires. If we live in the Spirit, let us also walk in the Spirit. Let us not become conceited, provoking one another, envying one another.” Galatians 5:16-25 NKJV. The kingdom of God is inside of us. Our body is the temple of the Holy Spirit. “Know you not that your body is the temple of the Holy Ghost which is in you, which you have of God, and you are not your own? For you are bought with a price: therefore glorify God in your body, and in your spirit, which are God’s.” 1 Corinthians 6:19-20NKJV. We are a living being created in the image of God. We are His sons and daughters. We are joint heirs with our King and Savior Jesus Christ to the kingdom of Heaven. We have a place in eternity reserved just for us. These facts alone should instill greatness in our walk through this life.